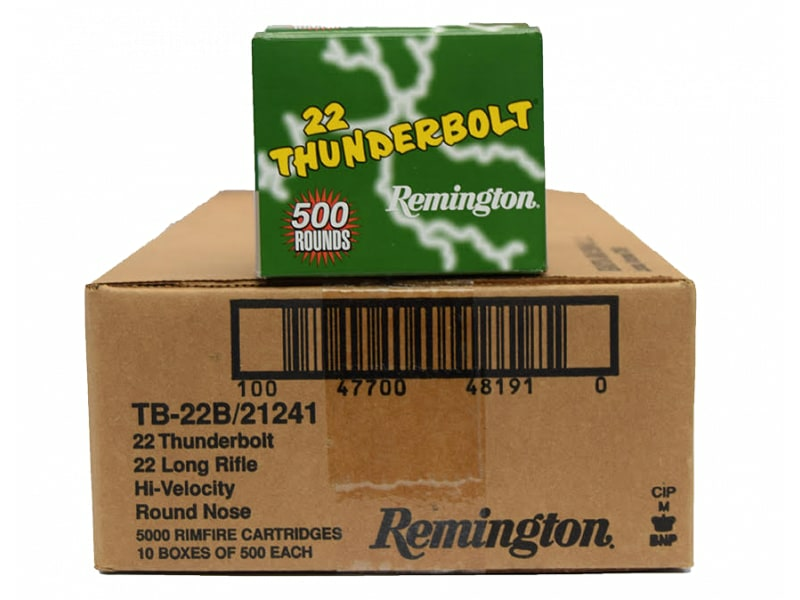 Remington TB22B: No matter what you put in your sights, prarie dogs, tin cans or a target, Remington offers the perfect 22 rimfire ammunition for any occasion. 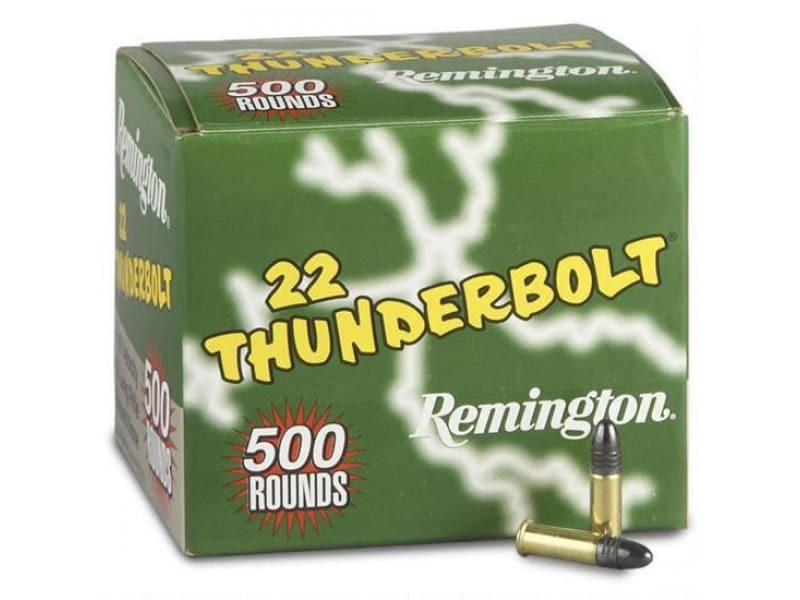 Remington rimfire ammunition delivers the quality you expect. That's because they put the same level of care into making the rimfire ammunition as they do their centerfire ammunition, so you'll get the maximum performance from every shot. 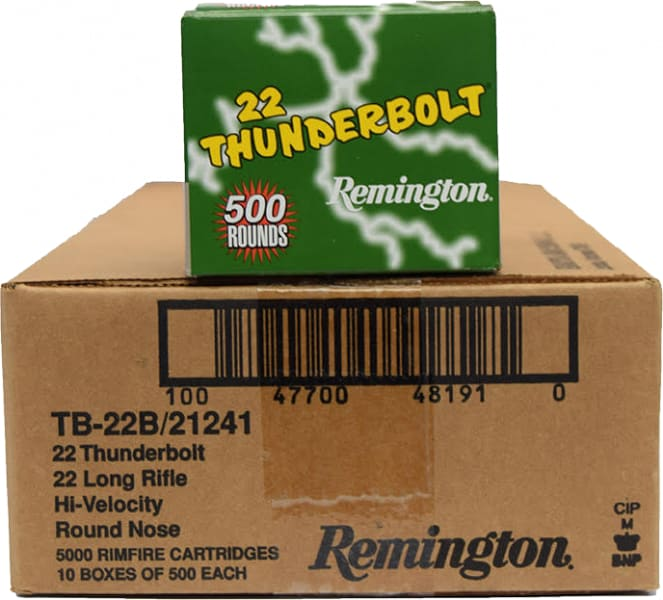 Note - This ammunition comes packed in a 500 round bulk box with 10 boxes in a 5000 round case. We sell it by the box elsewhere on the site but this sku is for the 5000 round case lot. . You can choose to purchase here by the case and save $1.00 per box over the individual 500 round box price. 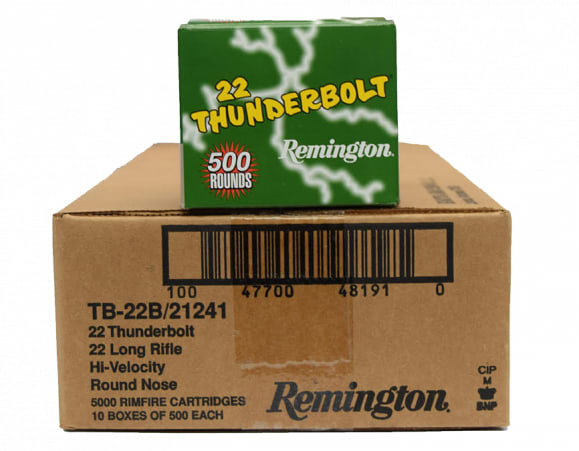 I think my first memories of ever seeing boxes of .22 ammo were Reminton Thunderbolts. My dad and I always used them for hunting and plinking when I was a boy, and I'm in my 50's now. They were the standard bearer then for affordable .22LR ammo, and they still are today. These come packed in a 500 round bulk packaged box with 10 individual boxed in a 5000 round case. We sell it by the box elsewhere on the site but this sku is for the 5000 round case. Buy it by the case lot here and save $1.00 / Box over the individual box price.